The Soft toilet brush manufactured by Zone Denmark belongs to the collection of the same name that consists of sophisticated bathroom accessories. The head of the brush is hidden inside of the conical pot made of porcelain while its handle out made of polished stainless steel remains visible. The inner plastic container can easily be removed and cleaned. The cool stainless steel and the soft-touch porcelain surface combined create a harmonious contrast that enhances any bathroom with its modern appearance. The silky matt finish of the Soft toilet brush can also be seen on the other bathroom accessories from the Soft series, that are wonderfully combined to create a pleasant atmosphere. The toilet brush is available in different colours. Isolated product image of the Zone Denmark - Soft toilet brush. 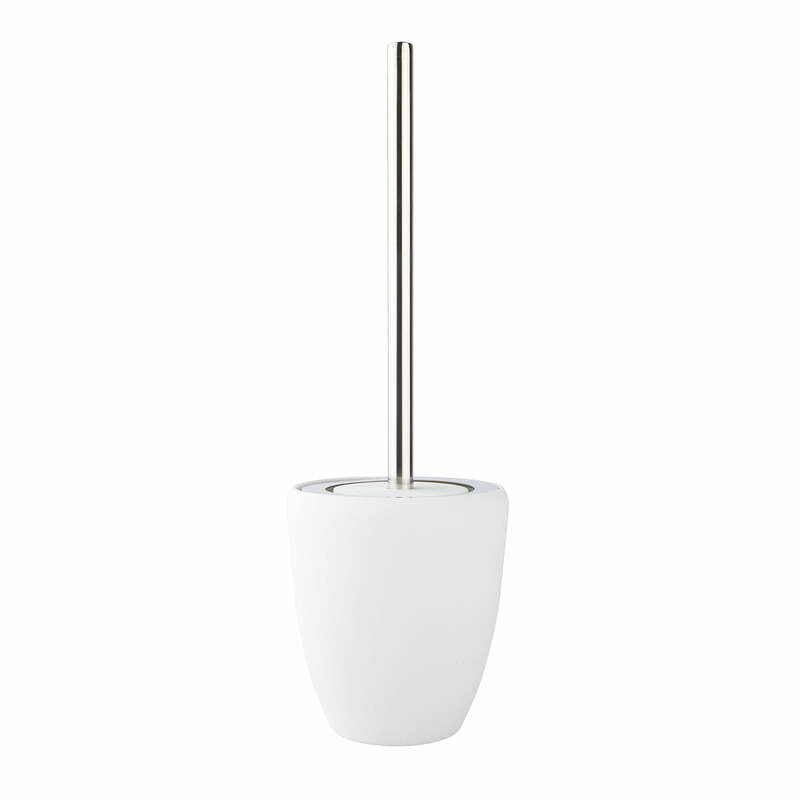 The Soft toilet brush by Zone Denmark is part of the Soft series that consists of sophisticated bathroom accessories. 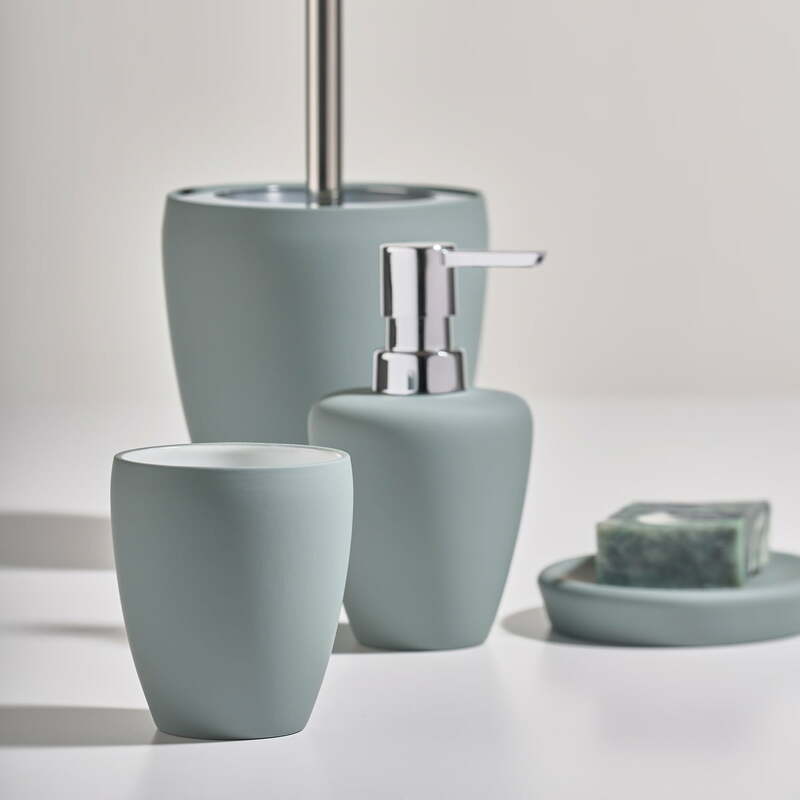 Group product image of the Zone Denmark accessories in dusty green. The bathroom accessories have a noble appearance, that stylishly enhance any space.